We all age and wear out, people and oil tanks are no exception. Just as a buried oil tank can corrode and leak, so can aboveground tanks. AST's wear out as part of the natural corrosion practice. They are also usually located in basements or crawl spaces where moisture and humidity are present, which can corrode the tank. Exterior tanks are subject to the elements as well. Did you know if you bought a brand new heating oil AST, the standard warranty is only 10 years? Aside from corrosion, naturally occurring environmental regulations dictating a reduction in sulfur emissions has made both heating oil and diesel fuel lower the sulfur content. What the reduction in sulfur has caused is an environment for bacteria to thrive in oil tanks, this bacteria secretes corrosive compounds that corrode the tank from within. 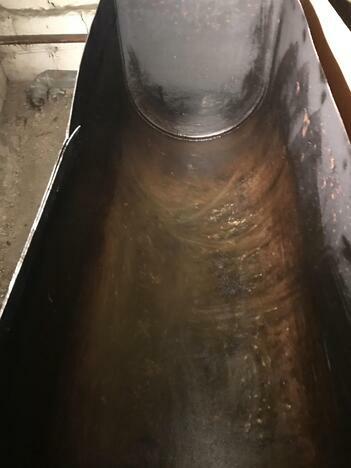 The point being Aboveground Oil Tanks (ASTs) do leak and when they do, you will wind up losing the tank contents, when this happens in a basement or crawl space expect big remediation bills. If people replaced their tanks rather than believe that tank lasts forever, these tank failures would not be so common. How do oil tanks leak? Many oil tanks rust from the inside out. This occurs due to the use of low sulfur fuel. 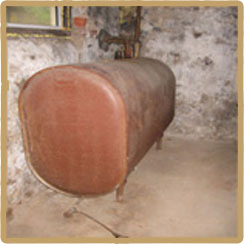 Heating oil tanks that have low sulfur fuel can allow microbial growth to occur. Secretions from these microbes can produce acids that can corrode a steel tank. 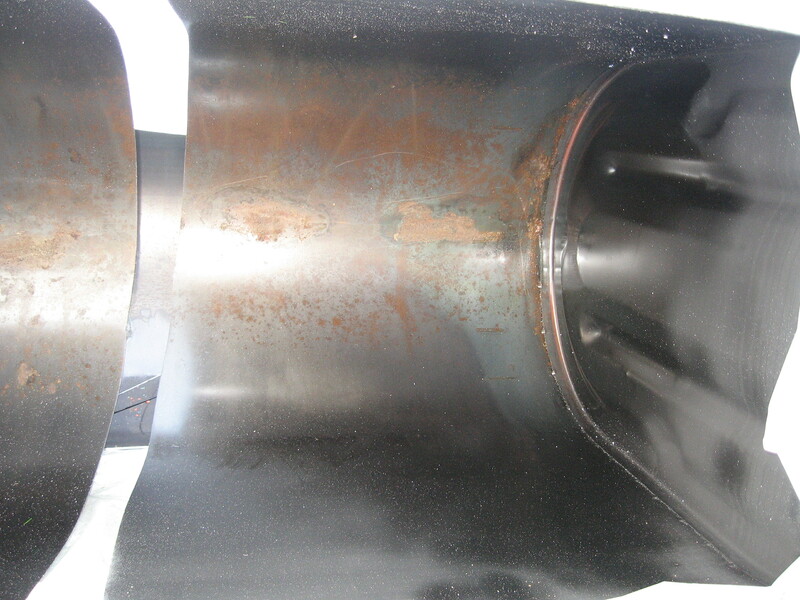 The photo above is the inside of a cleaned and cut open oil tank. What is really interesting is the rust you see on the bottom of the tank. This is the corrosive effect of the microbial activity in the tank. Yes an oil tank can corrode from the inside of the tank. Submit and obtain local permits for the removal of the AST. Schedule the work approximately one week in advance to allow our client proper notice of the work activities. Arrive on site on the day specified and complete a tailgate safety meeting discussing safety concerns of the project. We then inspect the tank for liquid. Any pumpable liquids found in the tank will be removed. After liquid removal, the tank will be cut open as per American Petroleum Institute (API) Publication 2015, "Cleaning Petroleum Storage Tanks,". 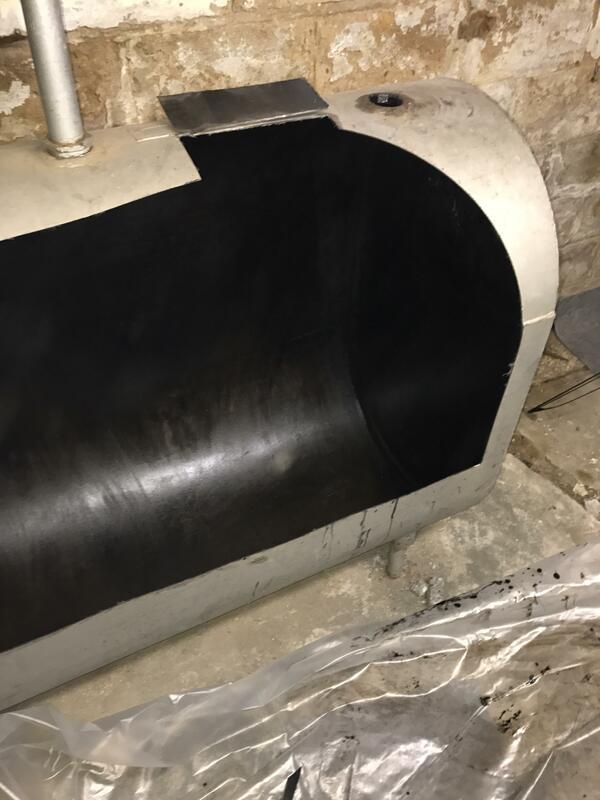 Following API standards ensures that the tank is thoroughly cleaned of any residual liquid, which is required by local and state regulations. Tank cleaning will consist of wiping, squeegeeing, and removing all liquids and sludges from the tank. All liquids and sludges generated as a result of the tank cleaning process will be transported from the site to a licensed oil recycling facility. After the tank has been cleaned, the tank will be cut into sections and removed. Next the fill and vent pipes will be cut and capped on both the interior and exterior of the foundation wall, if they penetrate any walls. This is performed to ensure that no product piping is left in place. 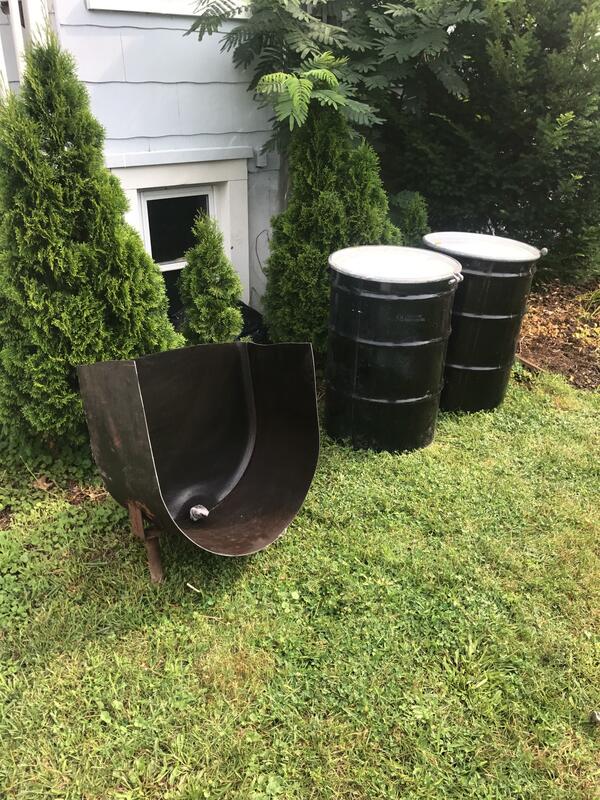 Many a basement has received an unwanted delivery of oil for these ghost tanks, because either the homeowner did a DYI tank removal or they hired a rock bottom company to remove the tank. The copper supply and return lines that feed the heater will be evacuated with a vacuum and the empty lines will then be crimped on both ends and left in place. 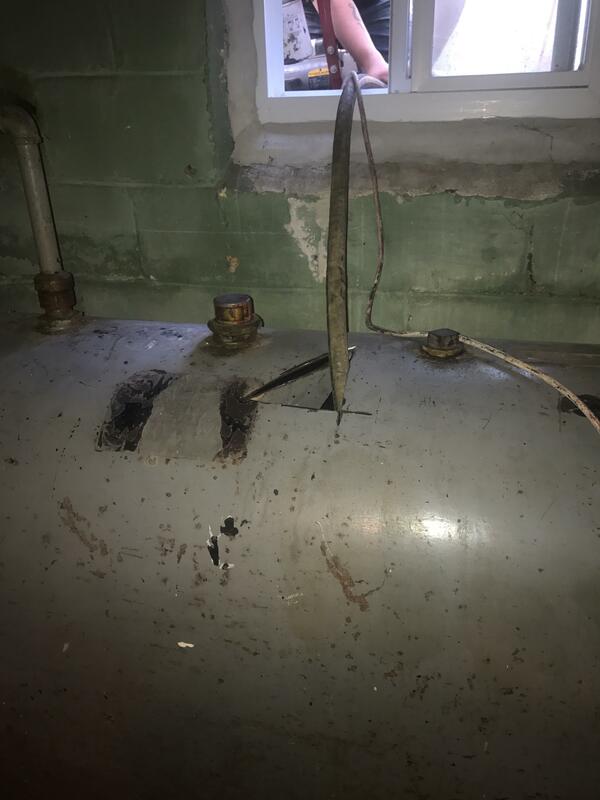 Lastly to help with any future sale of the property Curren will draft a report documenting the tank closure activities and include copies of the local permit and inspection, scrap receipt and liquid manifest with the report to certify the closure was performed. *Did you know when you list a house for sale there is a disclosure document the seller is asked to sign? This form has many questions to answer, one is "Is there are has there ever been any on site oil tanks"? The tank report answers that question. If you have read this far, you now know more about heating oil AST's than you thought you would. You also know that the process is not as easy as it sounds. Not a DIY project or an internet handyman job either. If you want a consultation or cost to remove your AST, call our office at 856-858-9509.